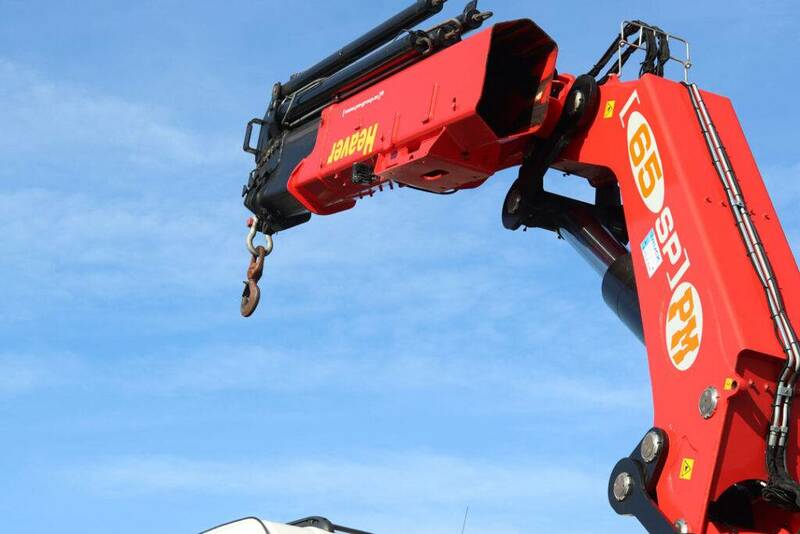 If you are looking for Hiab cranes, we offer the perfect solution. With flexible mobile crane hire and competitive prices, we are the number one choice for hiab crane hire across the UK and Western Europe. Hiab cranes are dispatched from our depot in Exeter, Devon and we guarantee fast delivery and a 24-hour emergency response. For the best hire prices and a speedy service that doesn’t compromise on quality, call us now on 01392 44 77 47. Why choose us for crane hire? With over 50 years experience in the haulage industry, we have established a reputation as a leading haulier across the UK and Western Europe. We offer a fast service using the best vehicles and equipment for the job. Whatever your crane hire needs, we have a wide selection to meet your requirements and budget. We also offer road haulage services, portable cabin rentals and shipping container sales and hire. Heaver Brothers are your one stop shop for all your haulage and transportation needs. Call us now on 01392 44 77 47 for the best service at the best price. For more information or to hire a hiab lorry mounted crane, contact us on 01392 44 77 47. We offer fast dispatch and modern vehicles that will get the job done quickly and efficiently.